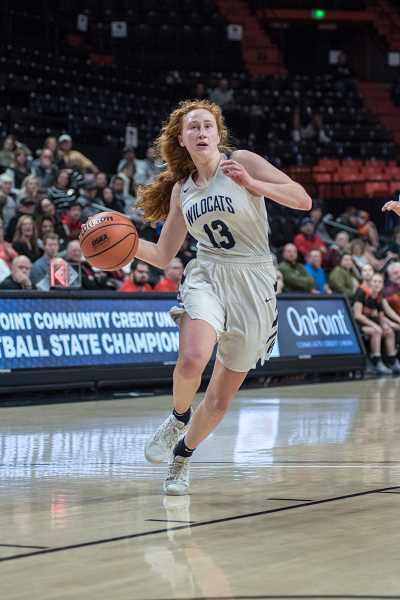 Wilsonville High School seems to be going through something of an athletic renaissance as of late, and the most recent examples of that trend are the boys and girls basketball teams. The pair of teams went to Gill Coliseum in Corvallis in bids for state titles at the season's end. For the Wilsonville boys team, the trip was fruitful and somewhat expected at this point. After once again running through the teams of the Northwest Oregon Conference (NWOC), the boys team made it to the round of eight to continue a trend started in the 2006-07 season. This year the team made it to its fifth straight state championship game, quite the streak. In the previous four trips the team had split the results, winning two against Liberty and Churchill, and losing two against Silverton and Thurston. 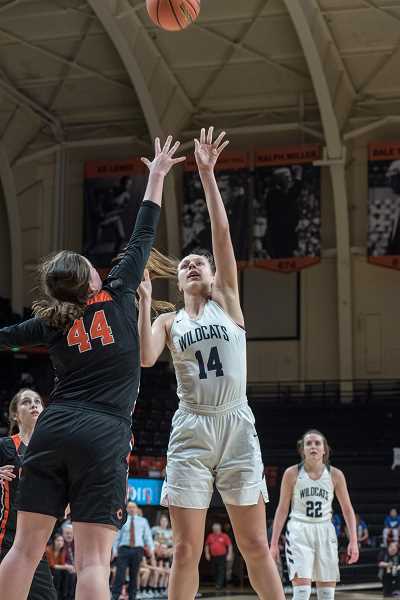 Once again, Wilsonville met up with Churchill in the finals, and once again Wilsonville got the job done, picking up a 67-58 win on Saturday, March 9. The game did not come easy. The lead switched a few times, and the Wildcats never were able to establish a truly comfortable lead. Ultimately though, the boys team earned Wilsonville its fourth boys basketball state championship. While the girls team ultimately did not reach the state championship game, it did put together its strongest season in years. It's been the culmination of a lot of different things. Girls basketball coach Justin Duke took over the reins of the program in the 2015-16, and led his initial Wilsonville squad to a 13-13 overall record. The next season that record bumped to 15-11, and an 8-6 NWOC record. Last year Wilsonville posted a 20-5 overall record and a 12-2 NWOC record, but was upset in the opening round of the playoffs. While Duke's coaching was part of it, the buy-in from the team year over year has been a big part of the equation. This season, the team finally was able to put all the pieces together. In the preseason, the team ran defeated top-ranked Midwestern League teams Springfield and Churchill, 6A teams Liberty and Canby, and top-ranked 4A team Banks. Heading into the season, Wilsonville's only losses were to a group of incredible out-of-state teams. The league run was just as fruitful. 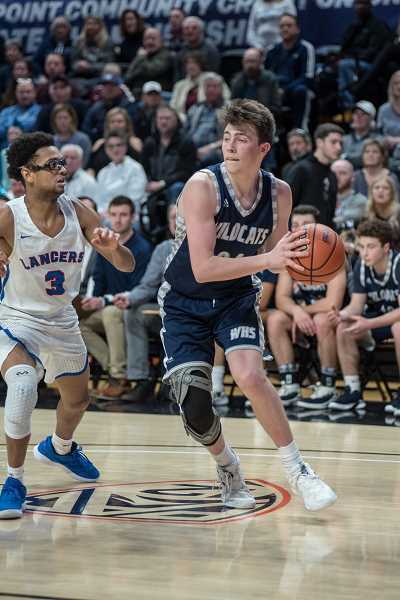 Wilsonville put together a 13-1 run toward a co-league championship, shocking La Salle Prep in the process. Though La Salle evened the series to a game apiece, the Wildcats still entered the postseason as the No. 1 seed. 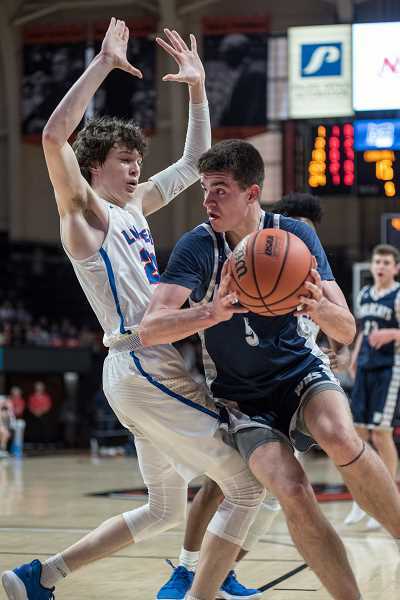 Wilsonville lost the rubber match with La Salle in the semifinals, but won the third-place matchup with Crater, avenging last year's playoff loss. Very few schools are doing what Wilsonville is in terms of athletic excellence, and the teams are only trending in the right direction. Both the boys teams and girls will lose valuable seniors, there is no doubt. But the up-and-coming leaders on the team, the Dakota Rebers, the Sydney Burns, the Keegan Shivers, the Emilia Bishops, really established themselves this past season. It looks like a certainty that the future is in good hands. And if those same kids come back and remain healthy, it seems like Wilsonville's hoops will remain just as dominant as they have been this past season.